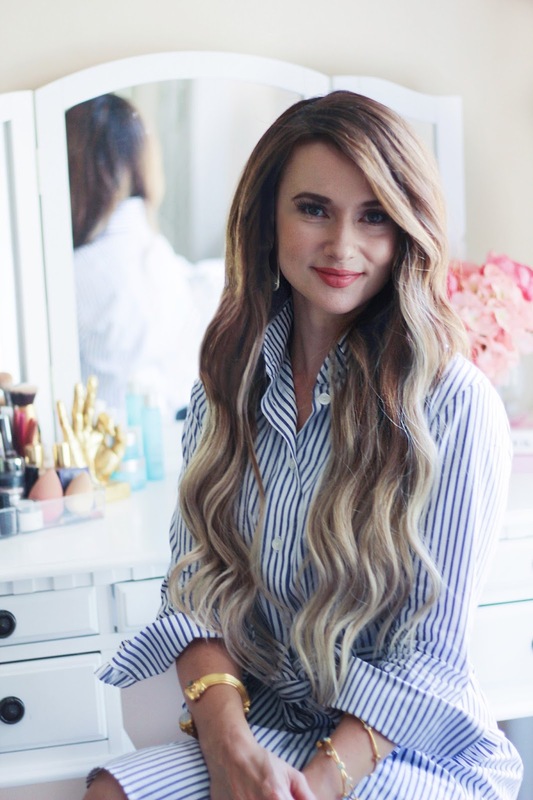 As some of you might know, a couple weeks ago I went in to my local Aveda salon and had them match my hair to these gorgeous Balayage Bellami hair extensions. I am absolutely loving the change and how beautiful these hair extensions are, but I have to say; I was a little skeptical at first. I desperately wanted my hair lighter for summer, but was worried it would damage my hair. A few years back I went platinum blonde and loved it, but the maintenance and damage it did to my hair was not worth it in the end. This time around, I wanted something that would give my hair a drastic change; without having to damage it too much. 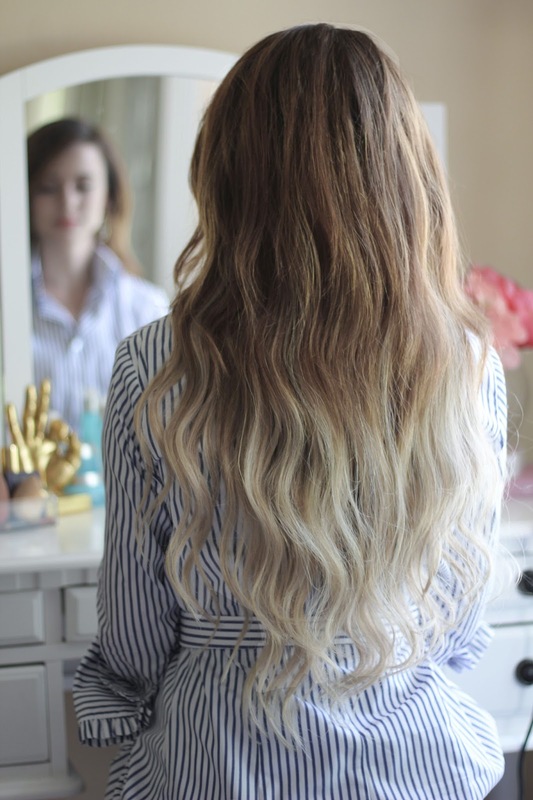 That is why I decided to go with these gorgeous balayage hair extensions from Bellami. I had heard such great things about Bellami and had been eyeing their extensions for quite some time. I’ve tried quite a few different brands of extensions, and these are by far the best on the market. They are double weft, thick, and absolutely gorgeous. After trying these, I don’t think ill ever try another hair extension brand again. I knew id need to have my hair dyed to match them, and was worried they might not be able to get them to blend. The staff at Aveda was very helpful and made me feel right at home. In just one visit they were able to get my hair to blend with the extensions by adding a few highlights, and cutting them to flow with my natural hair. I walked out of there feeling like a new woman with no damage to my natural hair, I call that a huge win! I will definitely be going back to add more blonde to my bangs etc, but for a first time visit; I was very impressed. Bellami extensions are extremely easy to put in, and stay in place really well. There are 4 main wefts, and 4 smaller wefts (2 for each side). Starting with the smallest of the four main wefts at the bottom of my head towards my neck, and working my way up to the longest weft at the top. I curled my hair away from my face, to give them some volume and to help blend them a bit better. The set I have is Balayage 220g 22″ #4, and I absolutely love them. This set is perfect if you have darker hair, but don’t want to dye your own hair blonde. You can find them here. Make sure to use the code Bethanyxo at checkout for $5 off any set. I hope you love them as much as I do.